Father Salvatore P. Luzzi dedicated 30 years of ministry to the Diocese of Erie, and during that time he was accused of sexual misconduct by eight male victims ranging between teenagers and individuals in their early 20s. These victims claimed Luzzi: groped, kissed, fondled and inappropriately hugged them. Some believe he is also responsible for the suicide of a former student. For several years, Luzzi taught at Venango Christian High School before moving to St. Mark’s Seminary, a college for the preparation of students heading into the priesthood. Luzzi worked alongside his friend Father Leon Muroski as Spiritual Directors at St. Marks. Two seminarians sued the Diocese of Erie, accusing Luzzi of inappropriately touching & fondling them; the Diocese of Erie later settled both matters. Several of Luzzi’s victims received letters and phone calls from the Diocese apologizing for the misconduct that allegedly went on within the Diocese of Erie. Common excuses given for Luzzi gross misuse of trust were, “Sal’s way of expressing himself” or his “touching approach” to ministry attributed to his Italian upbringing. 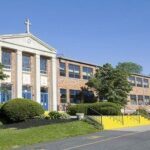 Though the Diocese has identified several additional victims, according to their internal files, it has not provided any information about the total number of allegations against Luzzi nor the details of the alleged abuse. 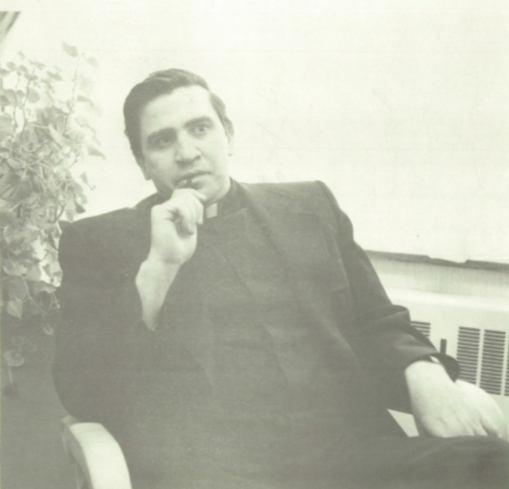 During 1974 – 1975, Luzzi worked alongside Father Muroski at Camp Notre Dame in Fairview where a Seminarian (Michael Amy) under their charge was accused of fondling two juvenile campers. The victims told the local Police Department, the Diocese of Erie, and their parents of the attack. 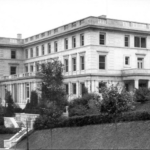 When the Seminarian was confronted with the allegation, it was Luzzi, Muroski and Father Lawrence Speice who helped clear his name, found him counseling, and kept the accused in the seminary. No arrest was made. Upon Luzzi’s discharge from St. Luke’s in 1995, Bishop allowed the priest to return to pastoral ministry with several conditions of a penal precept (formal notification of the church that restricts ministry). Luzzi’s restriction included to stay away from youth under the age of 19-years-old, and to avoid travel and any social interaction with young parishioners. Later in the year of 1995, Bishop Trautman entirely revoked Luzzi’s priestly faculties and encouraged Luzzi to reside in a private residence. Luzzi claimed Trautman forced him to retire early. A Diocese file revealed one of Luzzi’s victims threatened to take “appropriate steps” against the church if Luzzi wasn’t removed from ministry. If Luzzi didn’t leave on his own, the Diocese would force him out through an involuntary laicization process. Luzzi retired 30 days later. According to the Diocese of Erie, Luzzi is still alive and residing in Bradford, Pennsylvania. He remains a priest, albeit without faculties.